As I sit here writing this on New Year's Day, I have been thinking about my goals for 2017, and not just the personal stuff like my eating habits and motivating myself to stand up and exercise every so often. One thing that is going to change in the new year is a focus on writing about both television and movies, because I have come to the realization that I spend an awful large amount of time watching really inspired, brilliant programming yet never putting any of my thoughts down about it. I dabbled in it in 2016, a few posts about shows after I had finished watching the entire season, but the plan is to expand on television thoughts and criticism far more going forward. What I can do now though is put out a list of the single best episodes of television released in 2016, at least from what I watched. Let's face it, with all the different streaming services and networks putting out original programming these days, it's impossible to see it all, and if I didn't include your favorite shows on either this single episode list or my upcoming best shows of the year list, let me know so I can put it on my radar. 10. 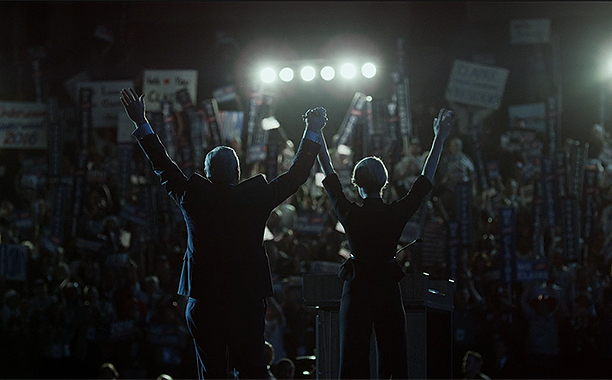 House of Cards Season 4 - "Chapter 49"
My love for House of Cards remained strong despite a weaker Season 3, at least in comparison to the first two. The fact that I didn't waiver rewarded me with an excellent fourth season, and the highlight of it for me was "Chapter 49", an explosive and absolutely riveting hour of television that centered around the Democratic National Convention. For those who initially thought that the political landscape featured in the series was too campy and absurd compared to reality, how did the 2016 presidential election season treat you? 9. Black-ish Season 2 - "Hope"
The word sitcom almost sounds vulgar sometimes with so much lazy, recycled nonsense being broadcast over the years, so when a show like Black-ish stands above the crowd it deserves recognition. Sure, plenty of the episodes are little more than cleverly written, humorous filler for 22 minutes, but even those are good because they are, well, cleverly written and humorous. 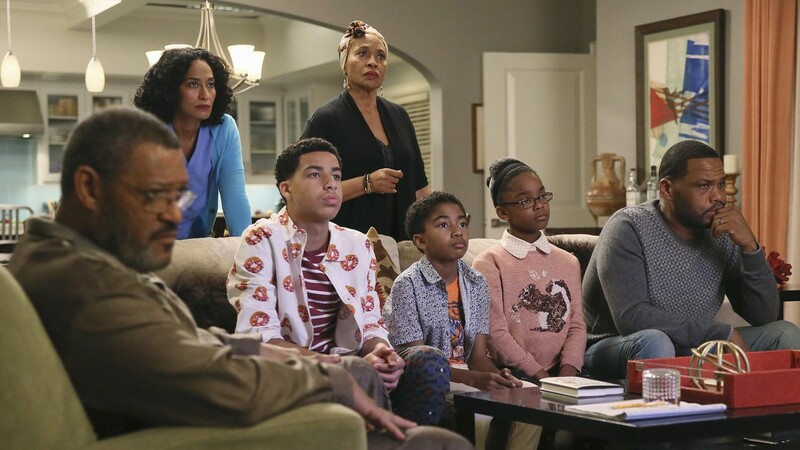 The episode "Hope" from the second season though, now that was really something special, taking place almost entirely in the living room of the Johnson family as they watch news coverage of a grand jury's decision to not indict a police officer accused of brutality against an African-American man. The dialogue is powerful, moving, sincere and so smart, flowing with honesty about how such incidents have impacted the black community. Truly an unforgettable episode. 8. 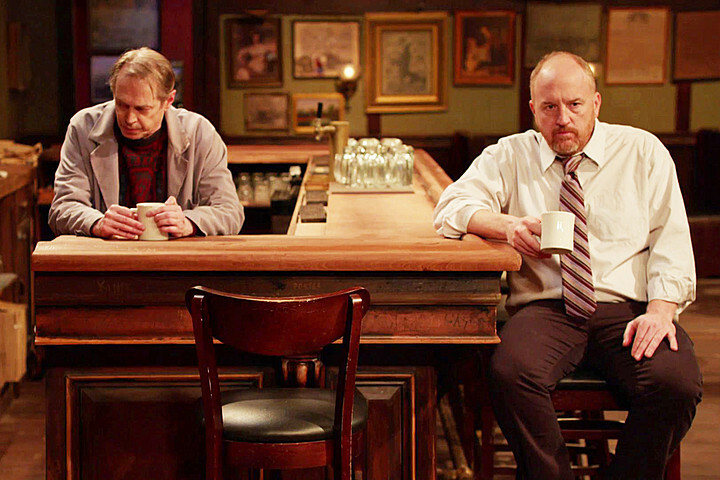 Horace and Pete - "Episode 10"
Horace and Pete, now available to be streamed on Hulu, is a tragic, somber, brilliant series that plays like a stage play, driven by dialogue from characters occupying minimalist set pieces. Created by and starring Louis C.K., along with Steve Buscemi, Edie Falco and Alan Alda, I ran through the series in no time because I was addicted to the performances and the sneaky depth to everything unfolding and there is no better example of this than the events that take place during the final episode, the best of the limited series and one of the best things to be on this year. You have to watch it all to understand just how perfect of a closing episode it is, so do so. The journey is so worth it. 7. 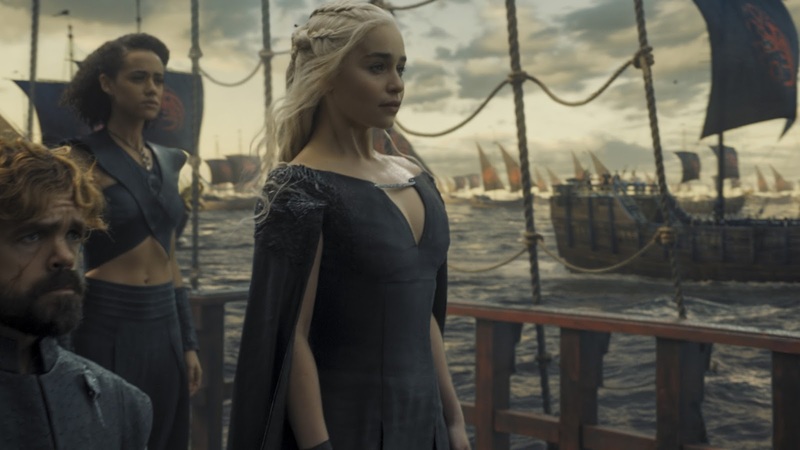 Game of Thrones Season 6 - "Battle of the Bastards"
For many I would imagine the penultimate episode of the sixth season of Game of Thrones is their favorite, and it's certainly not a poor choice. 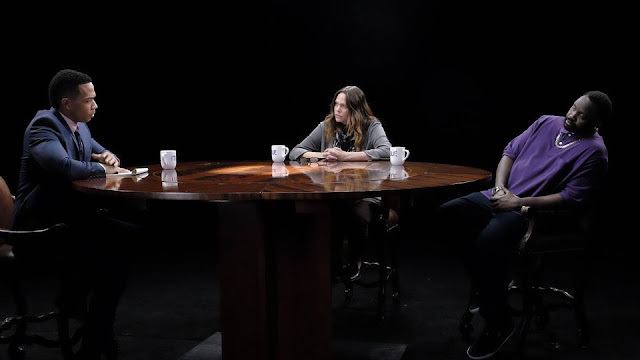 It made my list of the best things to air this year, after all, yet this will not be the only appearance from the series for me because one other episode actually managed to (barely) outdo it. 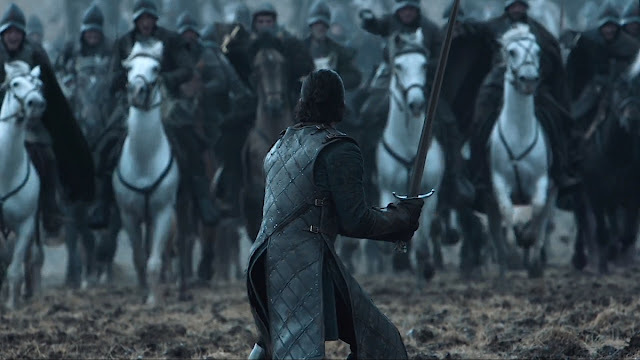 "Battle of the Bastards" is incredible entertainment though, with one of the most satisfying battle sequences filmed in recent memory. Jon Snow vs. Ramsay Bolton. We knew the day would come eventually, and it proved to be glorious. 6. Westworld Season 1 - "The Original"
The whole of Westworld was really good, a strange and at times frustratingly baffling experience, but in the end it never rose to the level of its incredible first episode titled "The Original". Perfectly crafted and one of the most intriguing starts to a series, when this one ended I instantly wished it were on Netflix or Amazon rather than HBO so I could start the second hour immediately. Westworld proved to be flawed but admirable because of its enormous ambitions. "The Original" was that beautiful moment when the ambitions were evident but it was still possible it would achieve them all without even so much as a hiccup. 5. Game of Thrones Season 6 - "The Winds of Winter"
When I finished watching "Battle of the Bastards", I didn't think the finale could top it. I was wrong. "The Winds of Winter" may just be the greatest thing the series has ever done, although to be fair I can barely remember a lot of the first couple of seasons at this point so perhaps I am forgetting the show's one shining moment. Not only was this episode perfectly paced and deliciously entertaining, but it leaves you wanting more. So much more. The craziest thing is knowing that the series is winding down, with 13 more episodes total before it ends. 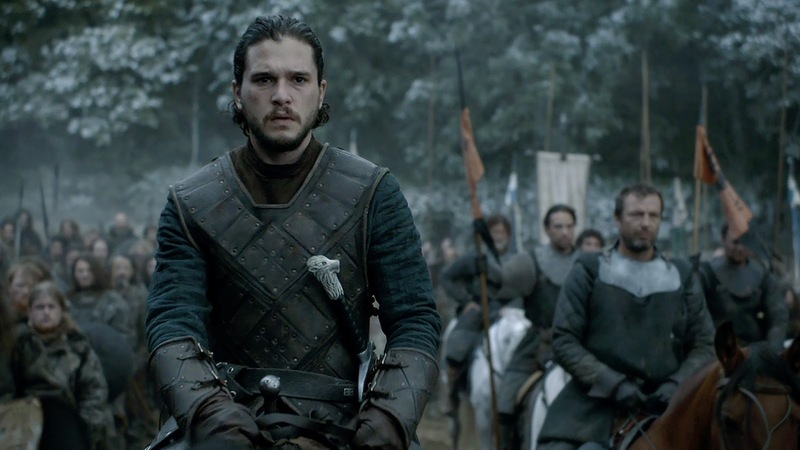 With that in mind, when we witness the final scene of "The Winds of Winter" unfold with the knowledge that the show is approaching its conclusion, it seems unbearable to know that even now as I write this we still have 6 more months before we can see what happens next. 4. Atlanta Season 1 - "B.A.N." Donald Glover's Atlanta is such an amazing series, with a top notch first season and the most memorable piece of the initial run is the bizarre, experimental and flat out awesome episode titled "B.A.N. ", which stands for the Black American Network. Even for a show with deeper, essential themes popping up throughout, this was without a doubt the most political Glover wanted to get. What he is putting under the microscope here is that it would be ideal if, rather than immediately jumping to anger and outrage over an opinion that differs from our own, we could have a discussion to understand and appreciate where the other party was coming from. Rather than policing every little bit of speech and lighting the torches to burn those that offend you, maybe we can take a step back and ask them, why do you feel that way? Trust me, you have never seen anything like "B.A.N." and that's a very good thing. I deeply admire when a creative mind is willing to take risks and make a subtle but essential statement through experimentation while knowing it will rub a lot of viewers the wrong way. 3. Mr. Robot Season 2 - "eps.2.8_h1dden-pr0cess.axx"
For two years now, Mr. Robot has been one of the most exciting, fascinating and unique programs on television, with creator Sam Esmail giving us something memorable and wonderfully weird every single week. I find myself pausing the show at least once in every episode to appreciate the way Esmail frames his subjects which is unlike anything I have seen before. The highlight for me from the incredible second season was the 10th episode. although really every single moment of the show could be featured in a best of list and it would always feel right. While the entirety of this episode is immaculate, the final scene is what puts it as my favorite compared to the others, a static shot from a camera stationed across the street from a cafe. I won't go into too much detail as to ruin it for those still behind on the series, but that one scene is peak television. 2. 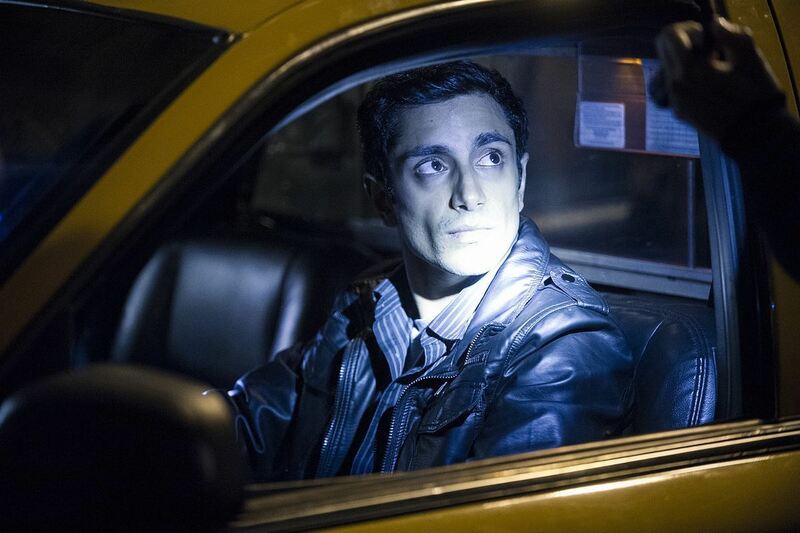 The Night Of - "The Beach"
Much like Westworld, the best episode of The Night Of was the first one, and "The Beach" is masterful. I loved watching all of The Night Of and spoiler alert, it will appear on my best shows of the year list as well, but it was almost impossible to create a show capable of sustaining the level of bone chilling quality that came with its first installment. "The Beach" expertly lays the groundwork for the entire season by demonstrating how many pieces of the puzzle a suspected killer leaves at a brutal crime scene, even if he isn't actually the guilty party. But if Naz didn't do it, who did? You will be left wondering exactly that and wanting so much more when "The Beach" ends, an incredibly memorable and well made episode of television. 1. Black Mirror Season 3 - "San Junipero"
There was a lot of great TV on in 2016, but the one absolute masterpiece can be found on Netflix. If you aren't familiar with the show Black Mirror, it is an anthology series with each episode being its own singular story with a beginning and end. So much of Black Mirror is terrific and insightful, all focusing in on the dark side of the advancement of technology and what makes it so great is that even if it is currently science fiction, everything seems at least slightly plausible that it could become science fact. "San Junipero" is an absolutely perfect hour of television, an ingenious concept brought to life with great writing, spot on performances to deliver it and a storytelling structure that makes each minute better than the last. Known for being the only episode of Black Mirror with an optimistic ending but even that is debatable if you really put the decision made by the characters under a microscope. 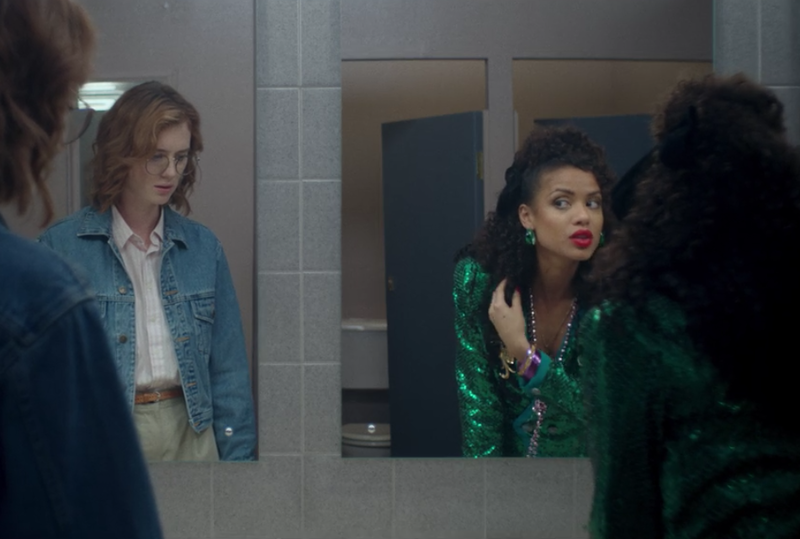 Despite being in season 3, I had not watched a single moment of Black Mirror until this year and the binge sessions were unstoppable given how addictive the series is, and while I was catching up I was told repeatedly that "San Junipero" was the absolute peak of the show thus far. Even going in with those raised expectations, it didn't disappoint. Not even close. In fact, despite being warned, I was still blown away by what is without a doubt the single best episode of any TV I watched in 2016.